Are you being harassed at work because of your nationality? Does your supervisor treat you differently because you are not American or were not born in the United States? Have you been called a “terrorist” or been subjected to other harassing comments about your nationality at work? If so, you may be the victim of national origin discrimination and should speak to one of our New Jersey employment attorneys to investigate and help you determine whether you have an actionable claim. Our New Jersey employment attorneys represent people who have been harassed and discriminated against while at work based upon their nationality. The New Jersey Law Against Discrimination prohibits employees from being harassed or discriminated against because of their national origin. This means it is against the law in New Jersey for an employer to make employment decisions based on where the employee was born or permit an employee to work in a working environment where they are subjected to prejudice or unfair stereotypes because of his or her nationality. The New Jersey Law Against Discrimination requires that employers maintain an effective policy against unlawful harassment and discrimination at the workplace and to investigate complaints of harassment and discrimination. The New Jersey Law Against Discrimination also prohibits employers from retaliating against employees who oppose acts of cognizable discrimination at work. 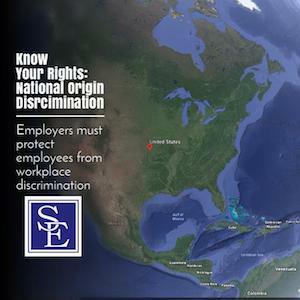 To bring a claim for national origin discrimination, an employee must establish that the negative or unequal treatment was motivated by his or her national origin or perceived national origin. It is unlawful for an employer to permit supervisors or co-workers to make discriminatory statements concerning someone’s national origin or nationality. 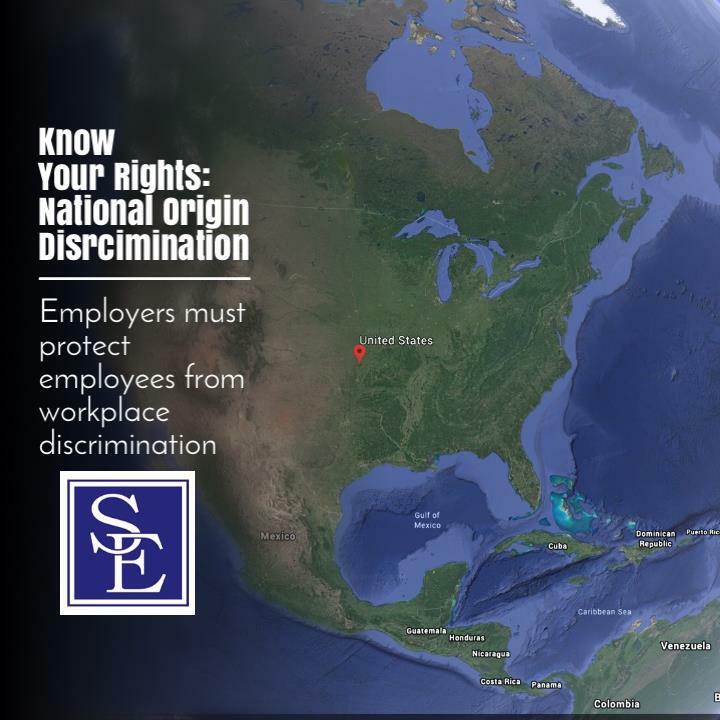 If your employer has encouraged, participated in or allowed such behavior, you may have a claim of national origin discrimination. It is also illegal for an employer to terminate you because you complained about an act that you reasonably believed to be in national origin discrimination. Our New Jersey employment lawyers are committed to protecting employees from discrimination and unlawful harassment. If you believe you have been denied a position, terminated, or otherwise unfavorably treated in your place of employment because of your birthplace, ancestry, culture, accent common to your nationality, please send contact us to a consultation with one of our experienced New Jersey employment attorneys.